Just a bit of fun - what advice would you give to a digital native wanting to enter the wonderful world of film? I'm a 20-something who spent about 10 years shooting digital before I decided to have an enthusiastic crack with film, and something I noticed as I made the transition (and continue to notice) was that while there's a huge amount of info out there for film shooters, an awful lot of it assumes a degree of prior familiarity. It's pretty overwhelming, and a lot of the techniques and language used to describe them left me scratching my head. So, if you had a friend starting out with film, what advice would you give? - Always overexpose colour negs. - Film won't make bad photos look good. Underexpose slides. 1/3 stop minimum. What kind of film - negatives, slides or b&w? What format - 35mm, medium, large? The most obvious difference between some film types and negatives is the huge latitude particularly with respect to overexposure on some types of films. 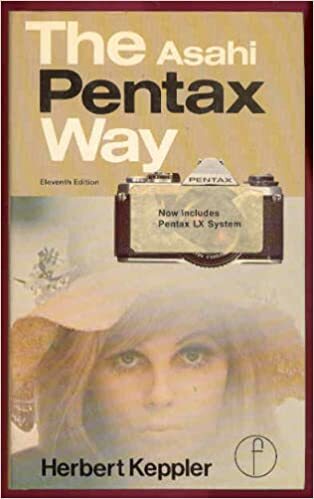 In the Pentax world, the LX is the only camera (ever of any brand) that can aperture priority autoexpose a scene for as long as it takes - hours long or batteries die, all the while monitoring the scene for lighting changes and adjusting appropriately. This one on Kodak Ektar 100 for >45minutes. On most films no need for reciprocity compensation. You can do the same post work and more such as stitching many frames automatically. This one using Kodak Portra 800. Too many to list so go out there and take some shots and enjoy! Thanks for the example of latitude - I know Portra has exceptional latitude, but I didn't know it was so far beyond Ektar. Get a fully manual camera, Once you have chosen a film of suitable speed, there are only three things to operate. 2) Set an aperture to suit the shutter speed for correct exposure. Don't force the advance near the end of the film as you will strip the film; simply rewind, and then complete the advance and release. Otherwise the basics are similar to the digital cameras. 1) I would recommend to get a GOOD exposure, not to overexpose...while C-41 deals overexposure better than underexposure, before you get familiar with all the tweaks I would recommend to start with black and white, that is more forgiving in case of wrong exposure. 2) Get a simple camera like a KM or a Spotmatic F, set the ASA speed, at the beginning it's easier to start setting a speed (traditionally the closest to the ISO of the film, for instance 1/125 if you are using ISO 100, 1/250 for ISO 200 and so on), point at the subject, focus it and centre the needle changing the aperture. 3) FIlms don't make bad photos look good but since you have to set up everything it's more likely that you will think more and get a better result than shooting 1000 digital frames and choose a single one. Also since you pay for each frame developed the "mass spree" mentality doesn't belong to film. I showed a 20 years girl I am pointing at some of these pics and she remained stunned to find out they were taken with an 35 years old camera. Now she wants to learn film photography! This is true, but a quick browse of Instagram (home to a remarkable amount of film work, both outstanding and terrible) shows an awful lot of analogue images where the sole redeeming feature appears to be the fact that they're analogue. And often this is coming from photographers that post some fantastic digital work. I think there is a perception, especially amongst my generation (the dig-natives), that the film 'look' is a valuable thing, irrespective of the other elements of a photo. IMO the problem is that those digital photographers are not good photographers at all, but very good at post processing things to make things straight. When they can't use PP and they can't take 1000 shots and choose the only one good they show all their limits. Don't do it!!! (You asked). I could never go back, even for supposed fun. Get a fully manual camera. Remember that the depth of field scale on your lenses will now have real value. Focus on the closest obect that you want in focus and chexk this scale to see how far away it is. Then check the fartherest object you want in focus. Then choose an aperature that will get both in focus according to the markings on your lens. This is important because it will he the only way you have to check and make sure everything you wanted in focus is in focus. If you are use to shooting crop sensor cameras the loss of a stop of depth of field will make it particularly hard to "eye ball it". You can also get cameras with a depth of field preview. But this is still limisted by what you are able to reliably see in the viewfinder. 1. Forget the high ISO values that you use in digital and go for the lowest ISO film that you can find, unless of course you want gritty, grainy atmospheric shots. Of course this can mean a whole new learning curve managing lighting and camera shake. If you already have the basics of photography down (i.e. the relationship between shutter speed, aperture, and ISO aka film speed to make a good exposure) there is no particular burning reason to go down the all-manual path unless you really want to. I love my ZX-7 because while it offers all-manual controls, it's also got AF along with aperture priority and shutter priority modes to make transitioning between my film body and digital body more seamless. My go-to film camera is an Olympus XA pocket rangefinder: easy reliable manual focus and extremely accurate aperture priority metering with manual aperture settings and fully automatic shutter speeds. Try as many film stocks as your budget allows. You might love Portra and loath ektar or vice versa. You might fall in love with the inherent beauty of chromes, cost and availability be damned. There aren't many stocks left unfortunately, but most of them are really good hence their continued existence. Try as many labs as you need to in order to get the results you want. I like Dwayne's Photo, the Darkroom, and have heard great things about the FIND lab. I also normally have very good luck with my local grocery store mini-lab as they run a respectable volume and care about the work. Last edited by skierd; 05-27-2016 at 04:02 AM. 1) start with B&W and learn to do the processing. I would recommend Tri-X as a first film. One of the best general-purpose B&W films ever, good speed, forgiving of exposure errors, and the grain has a "character" that many, even tens of millions of photographers found attractive and desirable. Develop in D76 or HC 110. 2) if you want the full experience, print in a darkroom using traditional enlarger & pans, BUT that means a lot of equipment and mess and bother and breathing fumes and wet fingers and...... In this day-&-age, scanning the negatives, even with a flat-bed scanner, and printing via PS or LR is not only simpler, it just plain sensible. 3) and old general rule for film: with reversal emulsions (=color slides or chromes) expose for the highlights; for negative film, color or B&W, expose for the shadows. (in other words: for chromes, err on the side of underexposure; for negatives, err on the side of overexposure). And, with respect to my recommendation to start with Tri-X, if B&W film aficionados notice this thread. you'll get at least one recommendation for every B&W film (as well as every film developer) still in production, . Cool! Look up Ilford for film and film developing and guidance. B&W is very satisfying and easy to use and develop. You can scan your negatives or just bring the film for developing and scanning at a service. A neat thing to learn is that you can properly expose film with rules of thumb and just a little experience. No need for metering, which is usually wrong anyway. For example, "Sunny 16" says Bright, sunny day at f/16, shutter speed is 1/ISO. Extrapolated, f/22 at the beach, f/11 on cloudy-bright days. So modify by a stop for each noticeable level of shade. But be prepared for a lot longer process and payoff. The thing about film is that it has become very expensive and to really get the full appreciation, you need to do darkroom printing as well, which these days is very hard to come by. Good luck! Always load and unload the film in the shade. Always check there is not film in the camera before opening the camera. Otherwise film is a large memory card, with more DR, and limited number of shots. Always preset the camera for a shot so you only need to push the button and wind on for next. ... (as well as every film developer) still in production, . There are still those among us who scratch mix formulas no longer in production... Eg POTA.